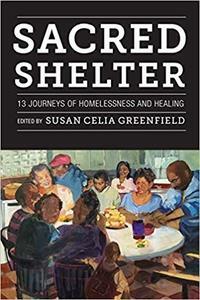 Fordham University English professor, Susan Greenfield, has authored a book about homelessness. The title of the book is Sacred Shelter. She will be a guest on Westchester Eye on the Radio on 2/11/2019 from 3-4pm. The show will broadcast live on WVOX 1460AM and also streamed online at wvox.com. Call in to comment at 914-636-0110.